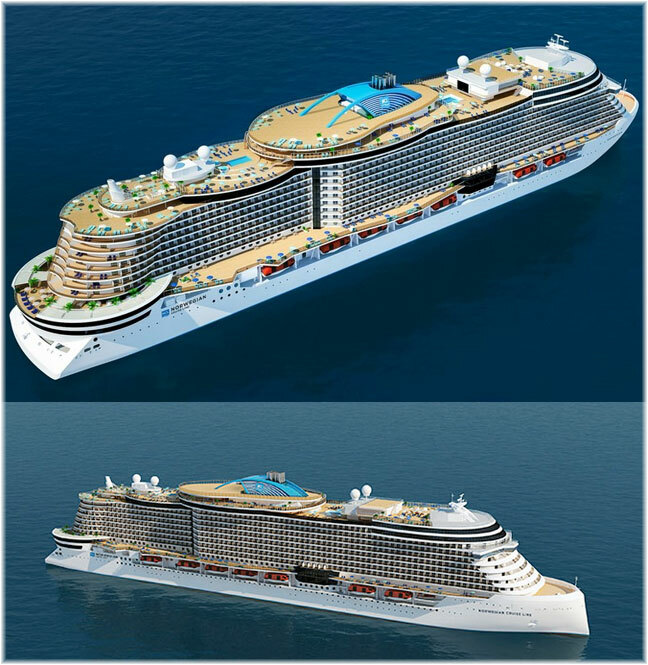 Last week, Norwegian Cruise Line let it be known that one of its six new 3,300-berth “Leonardo” class ships, to be delivered between 2022 and 2027, would be based at Southampton. 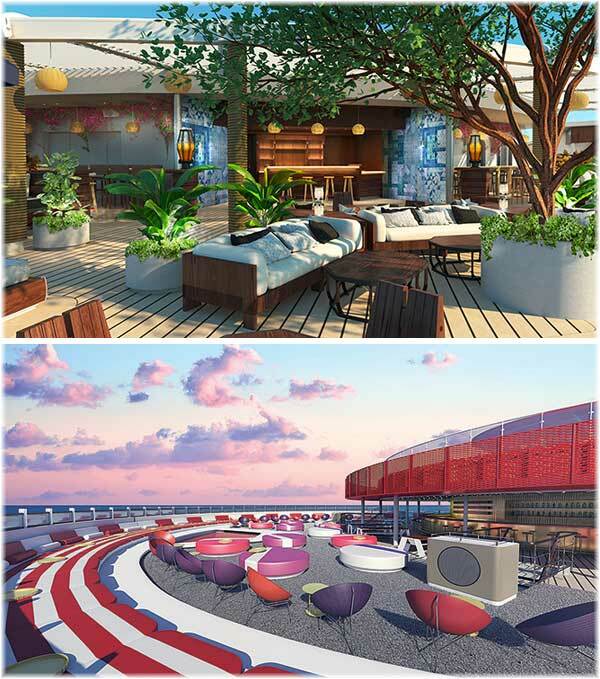 Elsewhere, Virgin Voyages has confirmed a fourth order for a 2,750-berth “Lady” class ship. 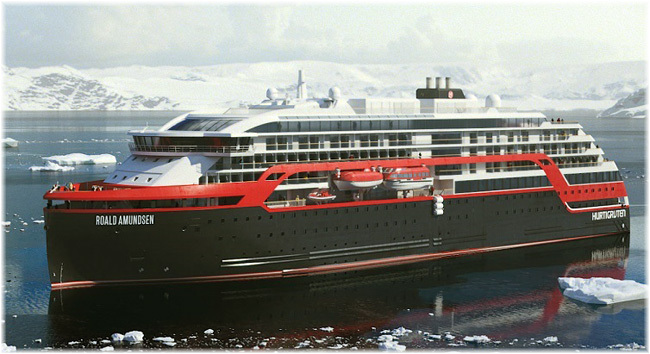 And Hurtigruten has signed for a third of its 530-berth “Amundsen” class ships. 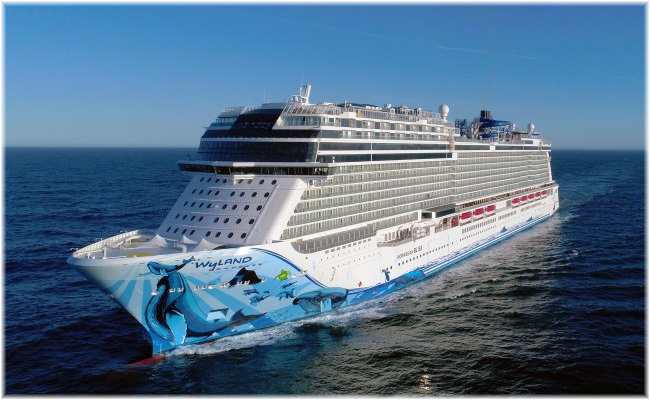 Norwegian Cruise Line has announced that at least one of its six 3,300-berth “Leonardo” class ships will be based seasonally in Southampton. But which has not yet been decided. Deliveries of the new class are scheduled from 2022 through 2027. The “Leonardo” class vessels will be the half-way stage between the line’s 2,400-berth “Jade” class ships and its 4,028-berth “Breakaway” class. As Norwegian Cruise Line deploys “Leonardo” class ships to sail from Barcelona and Miami, Southampton will soon be added as well. Older vessels such as the 2,400-berth Norwegian Dawn will go to new bases such as Baltimore, Charleston and ports in Texas, in 2022. “Leonardo” class vessels will then be free to sail from ports where the line’s older vessels had operated previously. “And there are some ports that from a capacity standpoint we wouldn’t want to go into with a brand-new ship that has 4,200 beds. We’d prefer to start with one with 3,300 beds”. Norwegian Cruise Line will take delivery of its newest ship, the 4,000-berth Norwegian Encore, in the autumn of 2019. Adult cruise line Virgin Voyages has increased its order with Fincantieri to four ships of the 2,750-berth “Scarlet Lady” class, with the fourth now due for delivery by the Italian shipyard in 2023. Deliveries are scheduled for the first ship, Scarlet Lady, in 2020, with sister ships to follow in 2021 and 2022 and the latest order in 2023. It has also been announced that the Scarlet Lady’s itinerary will include Havana, with an overnight stay. Virgin Voyages’ airline affiliate Virgin Atlantic has been serving Cuba for thirteen years now. In the Virgin Voyages lexicon passengers are referred to as sailors, employees as crew and travel agents as first mates. And sailors will have to be 18 or older to sail. And cruises are of course now voyages. Norwegian-based expedition cruise operator Hurtigruten has signed a memorandum of understanding with Norway’s Kleven Verft AS for the construction of its third hybrid-powered expedition cruise ship. Delivery is expected in the second quarter of 2021. The new ship’s design, construction, engineering and advanced technology will be based on Hurtigruten’s two next-generation ships, Roald Amundsen and Fridtjof Nansen, currently under construction in Norway. With a growing fleet of seventeen custom built coastal and expedition ships, Hurtigruten destinations now include Antarctica, South America, Norway, Svalbard, Greenland, Canada’s Northwest Passage and other Arctic destinations. The Hurtigruten ships are two or three times larger than the vast majority of expedition vessels now operating or on order, which tend to be in the range of 150 to 250 berths.